'Tis the season ... for all things pumpkin. 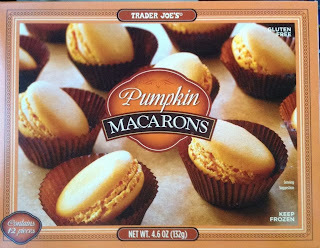 During my latest run to Trader Joe's, I discovered pumpkin macarons selling for $4.99 for 12 pieces. Since the macarons are a seasonal flavor, they're likely to disappear quickly. They are delicious - like biting into a slice of pumpkin pie. 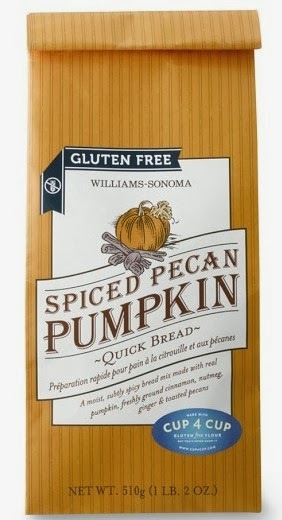 Williams-Sonoma is also getting into the seasonal spirit with two new gluten-free products. The Spiced Pecan Pumpkin Quick Bread Mix is made with Cup4Cup flour, which we've found superior, if not more expensive, than other all-purpose gluten-free flours. The mix sells for $14.95, the same price as the store's new Thanksgiving stuffing. The stuffing mix combines toasted cubes of gluten-free bread with aromatic herbes de Provence. Toufayan Bakeries has expanded their line of gluten-free baked goods to include Spinach, Garden Vegetable and Savory Tomato wraps. 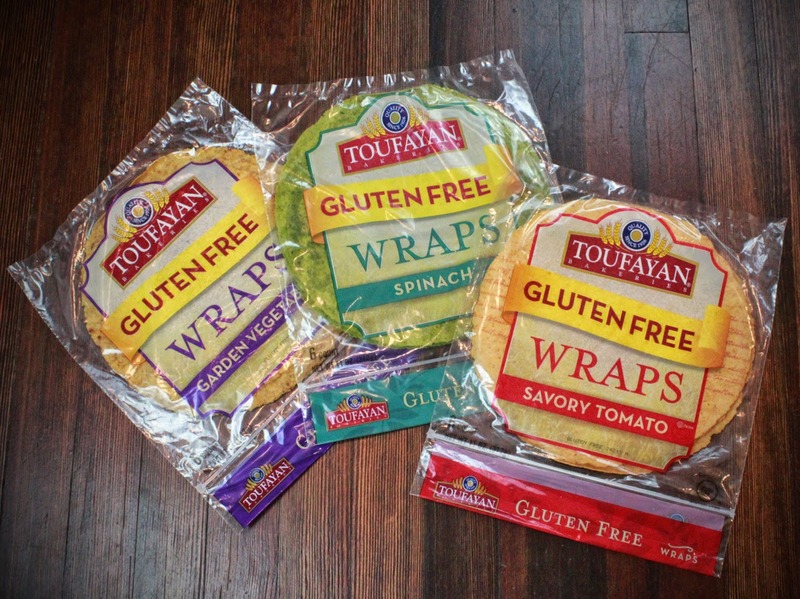 Toufayan, based in northern New Jersey, introduced an original-style wrap last year that's available at Wegmans and other supermarkets. The gluten-free products are made in a segregated area of the bakery's Plant City, Florida facility using dedicated equipment. Schar has two new breads in the frozen foods sections of ShopRite, Giant and Stop & Shop markets. 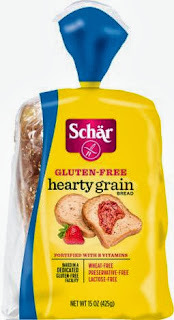 The Hearty White Bread and Hearty Grain Bread are slightly larger than the company's shelf-stable breads and are made from different recipes. Salsa Con Queso is the latest flavor of Pepperidge Farms' gluten-free Goldfish Puffs. They're supposedly a Walmart exclusive. Immaculate Baking Company's new ready-to-bake Gluten-Free Peanut Butter Cookies will be available in the refrigerated section at select nationwide retailers later this month, The suggested price is $4.80 for a 14 oz. package. The cookies are currently undergoing the Non-GMO Project verification process. 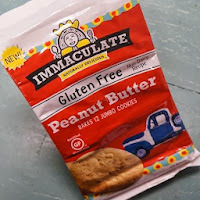 Immaculate also produces gluten-free chocolate chip and fudge brownie cookies, which are carried by Wegmans and other markets. Angry Orchard has crafted two brand new hard ciders in time for the fall season. Both the Cinnful Apple, which imparts a sweet, slightly tart apple flavor complemented by the aroma of cinnamon spice, and Green Apple, with notes of sweet honeydew melon and kiwi, are the result of the cider makers' first experiments with juice from American-grown apples. 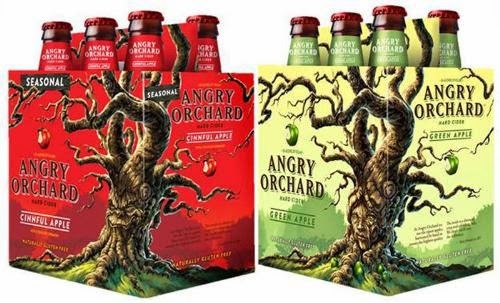 Cinnful Apple is a national seasonal release, while Green Apple is a year-round style currently in limited release with the national launch planned for early 2014. Though Crumbs Bake Shop locations in the Delaware Valley currently don't serve gluten-free cupcakes, here's hoping that the new all-gluten-free Crumbs opening next month in Manhattan will eventually service the local outlets. Located in Greenwich Village (37 E. 8th St., between University and Broadway), Crumbs Gluten Free will feature the same cupcakes, cookies, brownies and pastries that the brand is known for in gluten-free versions. The new assortment will be baked at a completely gluten-and peanut-free bakery and delivered fresh daily to the store. In addition to the cupcakes and pastries, Crumbs Gluten Free will also offer gluten-free breads, quiches, pies and tarts. Online ordering and nationwide shipping will be available shortly after the store opens. Part 2 of my summer vacation post on Tuesday recapped our Royal Caribbean cruise to the Bahamas. We noticed many improvements since our last family cruise on the gluten-free front, with annotated menus, more options and better service.